Here’s the fourth installment in my Best Ever series! What’s it all about? Click here to get all the deets. Today I’m sharing with you the Best… Scones… Ever. I’m specifically talking about the base of the scone mix. I’ve used many scone recipes and some of them were awesome enough to be included on my blog. Variety is the spice of life. 😉 However, I realized something when I made these strawberry scones. I keep going back to this base recipe for the scones which means I’ve got something good here. They are crumbly but moist and absolutely delicious. Yeah, these are a sure winner and what I’d call the perfect scone texture and taste. You can still have variety by making the base with loads of different goodies. To give you an idea of how much fruit to use, I used 1 cup of chopped strawberries for today’s scones. Also, I’ve also made a peach and blueberry combo that is out of this world tasty. Click here for that recipe. If fruit is not in season or it’s expensive (which is often the case in the middle of winter in CT), then chocolate chips are always a good idea. Click here for that recipe. And yes, for the purists that may want something simple to go with tea time, you can make them with no goodies at all. A quick note on cooking these bad boys. Different people tend to have different preferences with scones. My husband likes his to have a little color to them (golden brown) and I like them a bit more pale (tester comes out clean, but not really much brown at all). Also, the goodies you add can have an affect on how they cook. For example, wetter things like fruit can mean they need a little more time in the oven. Keep all these things in mind when you are cooking them and just keep an eye on them to make sure they end up the way you like them. If you’re looking for other ideas, then trust what you like or take a peak at what your local bakery is up to. Then make them at home for a fraction of the cost. Roughly 1 cup of your choice of fruit, chocolate, nuts, dried fruit, etc. In a small bowl, mix together the sour cream, vanilla extract, and baking soda. Set the wet ingredients aside. Add the cold butter chunks to the dry ingredients and mash the mixture with a pastry blender or a with your fingers until the mixture is crumbly. Mix in the wet ingredients and the egg. [Optional] Gently stir in your choice of goodies. Bake in the preheated oven for about 25 minutes, or until they’re golden brown (or how you like them to be cooked). Let the scones rest in the pan until they have cooled before taking them out or they will fall apart. 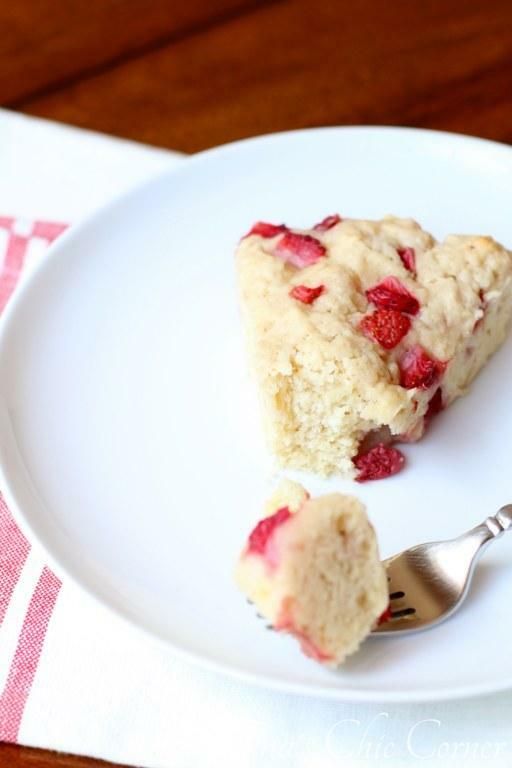 This base scone mix is adapted from All Recipes.